Ironic, isn't it? We have 24 hour a day connectivity with the entire world. We update our Facebook status with what we ate for breakfast. We tweet our frustration over the long line at Starbucks. Yet Friday night comes around and we don't have a buddy for checking out a new movie, nightclub or restaurant. Why is it so hard to find "real life" friends? Technology has increased our ability to communicate enormously. Unfortunately, it is easy to fall into the trap of spending so much time communicating that we don't have time left for actually making connections. Human interaction is more than a witty tweet or reposting a funny kitten photo, yet many times we use up our free time on these low value activities and find that our day is done and we haven't had a real conversation with anyone today! We all like to be approached. It is human nature to enjoy the attention of others, especially since the person being approached has the joy of being noticed without the fear of rejection. But obviously, not everyone can be the person being approached. It is pretty much a 50/50 split, if you think about it. Have we done about half of the approaching? Probably not. One reason that we hesitate to approach new people is that rejection hurts. It hurts every time, if only a little. Approaching someone, striking up a conversation with a stranger, these are situations where our ego is definitely on the line. What if the other person rejects us, laughs at us, is rude to us? We might feel like a fool or a loser. How awful. But how often does that really happen? When was the last time you were rude to someone who said something nice to you while you were waiting for your coffee? Nobody wants to be "that person" who doesn't have any friends. The act of making a new friend could be interpreted as having a lack of friends. Wait, what? How did all those friends of other people happen, by magic? Yet the fear of appearing needy holds us back. So, how can we make new friends in this digital age? Other than accosting people on the street (which can work, depending on where you live and how you look) there are some proven strategies. 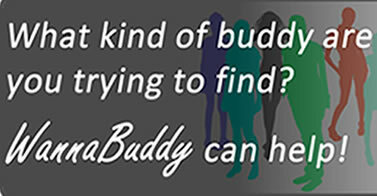 Most successful "friend finders" agree that the easiest way to find new friends is to get active. Choose one of your hobbies or an activity that has always appealed to you and get out there and do it! Participating in an activity takes the stress and awkwardness out of meeting new people. You aren't focused on making conversation; you are focused on the activity. Conversation flows naturally out of what you are doing. There's no judging, no implied commitment, just a group of people sharing a good time. You can pick an activity that you've been doing solo and find someone who's on their own, too. Walk you dog or stroll the mall? Find someone else who does the same thing. Bet you are both interested in having someone to talk with while your dogs sniff every tree and hydrant. The Internet has added so much to our lives, yet has made some things more difficult. One tool for finding new friends is WannaBuddy.com. Select the activities that you enjoy, the places you frequent and let WannaBuddy connect you with people in your area with similar interests. Without broadcasting your personal email or chatting with someone for days only to find out that they live 2,000 miles away, WannaBuddy focuses your attention on people nearby so that you can establish real life friends and check out new activities. Give it a try! A few short years ago, eating a gluten-free diet meant giving up pretty much everything that tasted good except for meat and dairy. Thanks in part to celebrities such as Gweyneth Paltrow, Scarlett Johansson and Elisabeth Hasselback, gluten-free foods have exploded onto main stream store shelves. Gluten is a protein found in wheat, barley, rye, hops and malt. People with celiac disease suffer inflammation of the small intestine if they eat foods containing gluten. Celiac disease affects about 1% of the population, so this small community does not explain the massive growth in gluten-free foods. There are many people who believe that they are intolerant to wheat or gluten in general. They typically experience bloating, gas, diarrhea and nausea after eating gluten and feel better after avoiding gluten for a short time. The gluten protein is difficult to digest, so it is thought that the bacterial digestion process for gluten causes these gastrointestinal discomforts. There are a few small studies that have investigated the topic of gluten intolerance, but no definitive results have come out. Experientially though, people who do not have the pathology of celiac disease who feel better when avoiding gluten are better off sticking with a gluten-free diet. This surge in awareness, helped by a since-disproven connection between wheat and autism, has driving sales of gluten-free products up by over 15% since 2010. In most cases, recipes calling for wheat flour substitute flours made from rice, corn or garbanzo beans. 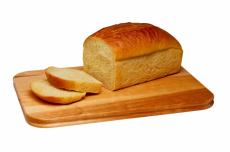 Typically, xanthum gum is added as a binding agent, since gluten is the glue that holds bread together. Today, nearly every category of food is available in a gluten-free alternative, from bread to beer. But is it a healthy alternative for people without celiac disease or gluten intolerance? Some people have chosen to follow a gluten-free diet believing that it is a healthier alternative to eating wheat. 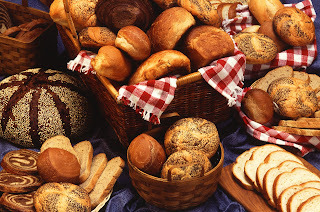 Associating gluten with carbohydrates, people sometimes think that they are cutting back on carbs and should lose weight by eating gluten-free. It turns out that nothing could be further from the truth. In order to create good-tasting gluten-free foods, producers add quite a bit of sugar and corn syrup to mask the grainy texture of the rice (or whatever) flour. That means that the gluten-free alternative may actually have more carbs than its wheat-loving twin. Eating gluten-free also means that some nutrients must be sourced elsewhere. 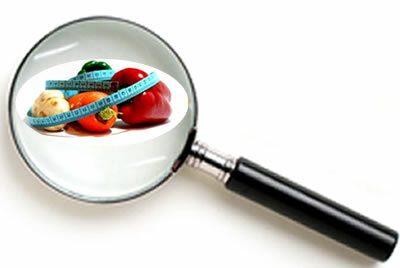 Supplements for fiber, thiamin, riboflavin, niacin, calcium and iron should be obtained. These nutrients can usually be obtained by eating a good balance for fruits and vegetables (also typically gluten-free). Is a gluten-free diet right for you? If you are looking for a trendy diet to lose some weight, move along, there's nothing here for you. If you suffer from wheat intolerance or celiac disease, congratulations! The market has rewarded you with shelves of delicious alternatives to gluten to brighten your every meal. Tennis is a great sport. 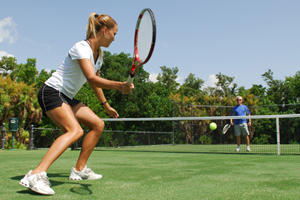 Regardless of age, physical fitness level or training, you can enjoy a game of tennis. One key ingredient for the perfect tennis game is finding the right partner. You want a tennis buddy who is about your skill level, shares your level of commitment to the sport and has about your level of interest in winning. If any of these attributes are out of balance, a fun game can be ruined. Let's face it, we can't all play at Wimbleton. That doesn't mean that we can't have fun and play a respectable game of tennis. The secret is finding partners on our level. This compatibility is necessary on a number of levels. Not all are critical for everyone, but trying to force a tennis relationship when the mismatches outnumber the matches is asking for trouble. We all like to win. For a tennis buddy relationship to last, though, both buddies need to win occasionally. If one person wins the preponderance of games, the other player will soon find other ways to spend their time. Finding tennis buddies at our skill level is, therefore, key to a successful long-term relationship. You should both go into each game challenged and anticipating victory. Attitude is another key area for compatibility. If one player will do anything to win but the other player is more interested in a gentle, relaxed game, tension will grow quickly. Be sure that your prospective tennis buddy shares your level of investment in winning. If you frequently dive head-first after that scorching serve, be sure that your buddy does, too. 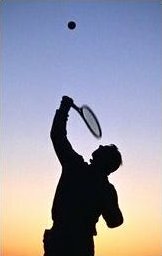 If you really enjoy the fresh air and don't want to strain anything just to hold serve, that's important to discuss upfront, too. What is your schedule, and how does it match your prospective tennis buddy? Do you share convenient gaps in your busy day so that games can be fit in easily? Are you both about the same level of reliable, so that one person isn't consistently hitting balls against a back stop waiting for the other to show up? Be sure to share cell numbers and agree on your level of commitment to making the schedule work for both of you. Are you open to getting tips from your tennis buddy? Do you love to share your knowledge of tennis form and techniques? This can be an area of friction. Be sure that your buddy really appreciates all that great advice that you're sharing. Otherwise you might be an irritant without realizing it. If you like hearing ways to improve your game, remember to reward your partner after receiving some pearl of wisdom so that the communication can continue without awkwardness. 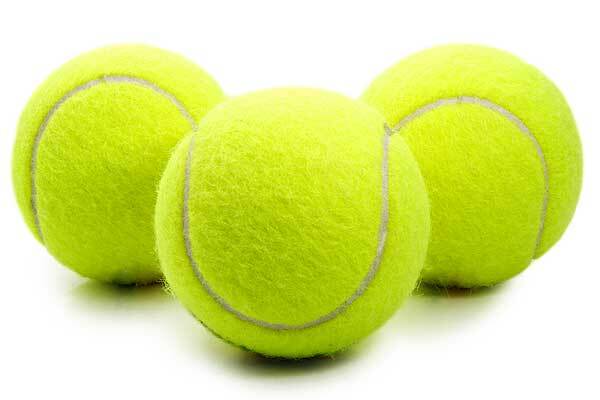 Do you share the same goals for your tennis career? If you on you is determined to rise through the ranks, the tennis buddy should understand and support this goal. If you are both out for a good time without stressing over improving the speed of your serve or your rocketing backhand, that's good too. Just as long as you are both on the same page. 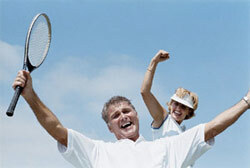 Finding a compatible tennis buddy can make a huge difference in your enjoyment of tennis. If you are in the market for a new tennis buddy, check out WannaBuddy.com. The site is ready to serve you up a buddy today! It is woven into American life; pop that daily multivitamin first thing every morning. If we do nothing else, at least we're taking care of ourselves that way, right? A new study says that we may be doing more harm than good in certain situations. A new medical study was published in the Archives of Internal Medicine that followed women who took a daily multivitamin. The study's leader, Jaakko Mursu, at the University of Minnesota, reported that over the span of 19 years women who took vitamin supplements was linked with a measurably higher risk of death. The research followed a group of 38,000 women with an average age of 62. Each participant reported their use of vitamins and supplements over the course of 19 years. 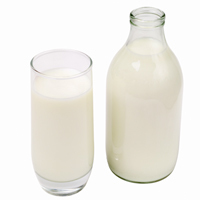 Some good news: women who took calcium had about a 10% lower chance of death compared to women who did not take calcium. Unfortunately, the other common supplements did not fare as well for the participants. The study did not identify the cause of this increased mortality rate, just the correlation. Mursu speculates that women may be taking too much of a supplement, turning a benefit into a detriment. 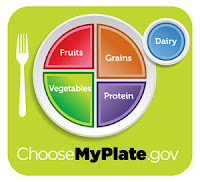 In most cases, eating a well-balance diet is better, and safer, for you. If a doctor suggests a supplement to treat a specific medical condition such as anemia or a vitamin D deficiency, be sure to follow the doctor's dosage instructions and stop taking it when instructed. Vitamins and minerals have an important role in maintaining your health. 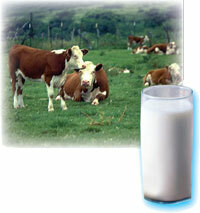 The body cannot produce calcium; so we must absorb it from out food. But other than a daily calcium supplement, try to follow good dietary guidelines and get your nutrients the old fashioned way: from food. You just might live longer. Based on the positive feedback from our "Success With A Study Buddy" post, here are some thoughts on organizing a successful study group. Especially in college, the onslaught of material to be learned can quickly overwhelm the individual student. Enter the study group. 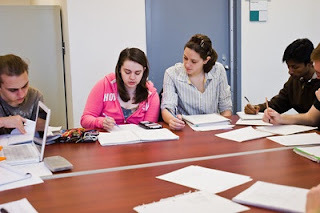 By dividing the subject and sharing insights and study materials, everyone in the group can perform better. So what makes for a successful study group? Becoming part of a study group has a lot of benefits. Beyond the social interaction that easily trumps solitary study, having classmates to answer your questions and validate your ideas is invaluable. The process of explaining a concept to another person reinforces the material in your own mind, and hearing other perspectives can broaden your understanding of issues that you thought you understood. Further, having a scheduled study session makes it far more likely that you will actually spend that time studying without yielding to the temptation to skip the studying and go directly to your favorite form of relaxation. There are a few possible down-sides to a study group. 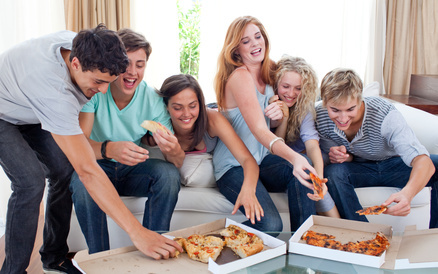 Sometimes a study group can veer off track and become more of a social gathering than a learning community. Members can hijack the topic and spend everyone's time expounding on a small point and leave the larger issues not addressed. Remember that the group can only go as fast as the slowest member, so choose your study partners wisely. It is important to be selective when putting together your study group. It may be tempting to choose members based on appearance and personality, but it is more important to find people who share your work ethic and commitment to good grades. You want dependable and motivated partners, not slackers who you will drag through the entire course single-handed. Aim for a range of perspectives, but remember that the group will be operating under some stress as finals approach, so widely diverse opinions could lead to trouble. Decide on some ground rules for the study group up front. How often will you meet? Once or twice a week is usually good. Meeting for 90 to 120 minutes should be your target. Less time than that and you will spend most of it getting started, and more time will leave you burned out and ineffective. Find a quiet and convenient place to meet. Your dorm room is probably not idea, given the cramped quarters and frequent distractions that intrude. During your first meeting, spend some time talking about expectations and responsibilities. Everyone should agree on how the work will be shared and consequences for not keeping up. Will there be a single group leader or will the leadership rotate from meeting to meeting or topic to topic? Will you tackle the "optional" material that is part of many classes, or stick with the basics? Once you get the group rolling, be sure that everyone plays nice with each other. That is, let everyone contribute without interruption, show up on time and ready to work, stay on task, and keep a civil tone throughout. The common good should be everyone's goal. Together you can accomplish much more than each individual, so it is worth giving up some level of independence in return for better success in the class. 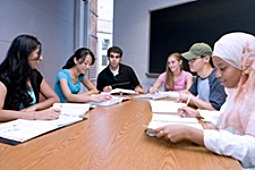 By forming a study group you can leverage your time and increase your chance of success. You might even free up enough time to make it to a party or two on the weekend. Need a few more study buddies? Check out WannaBuddy.com and see if there are some classmates looking for a group, too! Many people are on a low sodium diet on the advice of their doctor. Low sodium really means low salt, since most of our sodium intake is delivered as table salt. People typically cut back on their sodium intake because of high blood pressure or fluid accumulation in their extremities. 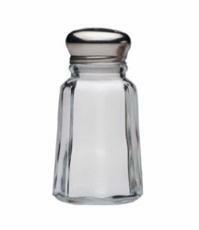 Modern life, with the popularity of prepared foods, makes following a low sodium diet very difficult. Here are some strategies that help. Sodium is essential to life. Our body uses sodium for many functions, including blood pressure moderation, the firing of our nerve cells, and maintaining the proper balance of fluids in our cells and soft tissues. However, most of us consume many times the amount of salt necessary to provide adequate sodium levels. A low sodium diet is generally defined as consuming less than 2,000 milligrams (mg) of sodium per day. Benefits of eating a low sodium diet include reducing blood pressure, enhancing the effectiveness of high blood pressure medications, reducing the risk of a stroke, reversing heart enlargement, and reducing the chance of kidney stones and osteoporosis. Why do we consume so much sodium? Just one teaspoon of salt contains 2,300 mg of sodium, so it adds up fast. Americans typically eat about five teaspoons of salt a day, far more than what is healthy. Most packaged or processed foods, especially smoked or cured meats and canned entrees are high in sodium. Sodium also pops up in unexpected places, like cottage cheese, San Pelegrino sparkling water and Alka Seltzer. Many water softeners remove iron from drinking water by adding salt. The only way to be sure how much sodium is in what you are eating is to read the label. Happily, the Federal government mandates clear labels on packaged foods that lists sodium content. Be sure to consider the serving size on the label. To my surprise, some of my favorite foods contain far more servings on the label than I ever accomplished at home! There are good alternatives to that handy salt shaker. Many experts guide low sodium newcomers away from specialty seasonings and suggest using the herbs and spices that most people have on hand already. Eating fresh fruits and vegetables is a great way to shift your diet away from processed food and the associated salt. Try not to add salt while cooking, and be sure to taste your food before you reach for the salt. Over a short period of time most people find that they need less and less salt yet they continue to enjoy their food. Now is the time to explore those spices gathered in the back of the cupboard! Experiment with pepper, garlic, cumin, paprika, curry and cinnamon. Celebrate the various ways to prepare potatoes and rice, maybe with a nice broiled salmon or chicken breast. If you are dining out, ask that your food be prepared without additional salt. Try to avoid hard cheeses, croutons, and bacon bits on your salad, and (of course) ask for your low sodium dressing on the side. Avoid fast food to the degree possible. Their food is loaded with salt! With a little care and creativity, you can adjust your habits (and recipes) so that your sodium intake is much lower without sacrificing flavor or variety. So get in the kitchen start cooking!